To make low-fat Alfredo sauce, melt butter in saucepan over medium-low heat. In another saucepan bring milk to a simmer over medium heat. Add garlic and orange zest to butter and sauté for 30 seconds. Add flour and stir for one minute. Slowly whisk hot milk into butter and flour mixture and continue to cook for 6 minutes until Alfredo sauce is thickened, keep warm over low heat. 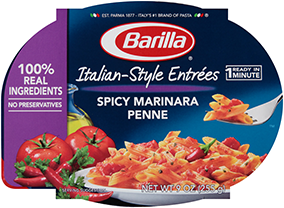 Cook pasta according to package directions; drain, reserving ½ cup pasta water. Return pasta to the saucepan. Heat olive oil in large skillet over medium heat. Add turkey and allow to brown. Remove from skillet with slotted spoon. Add yellow onion and fennel to skillet and sauté until soft. Add kale to skillet and allow to wilt. Add turkey, kale mixture, reserved pasta water and Alfredo to pasta and toss over medium heat for 2-3 minutes until warmed through. Season with salt and pepper to taste. Garnish with fennel fronds before serving.